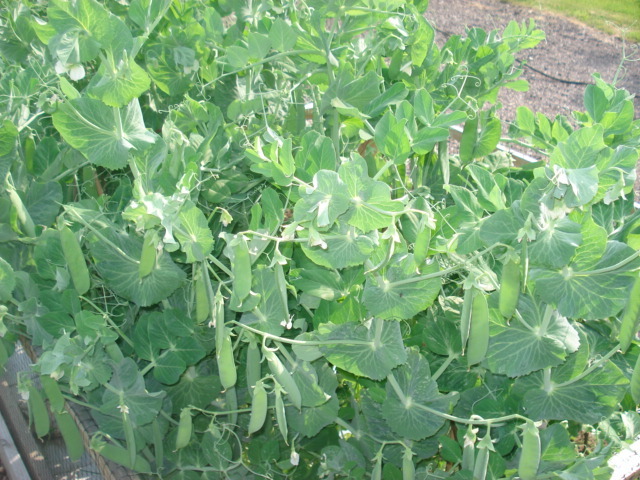 Earlier in my blog I explained how we were trying the “no dig” approach to vegetable growing this year, growing through cardboard. 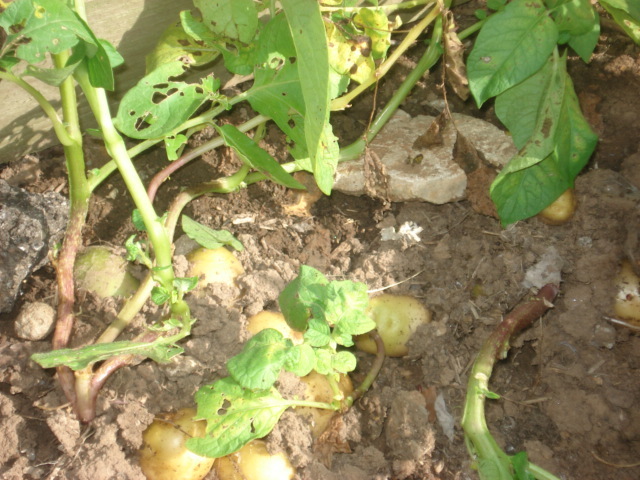 One of the first things we planted this way was our potatoes and this week we started to dig them up. 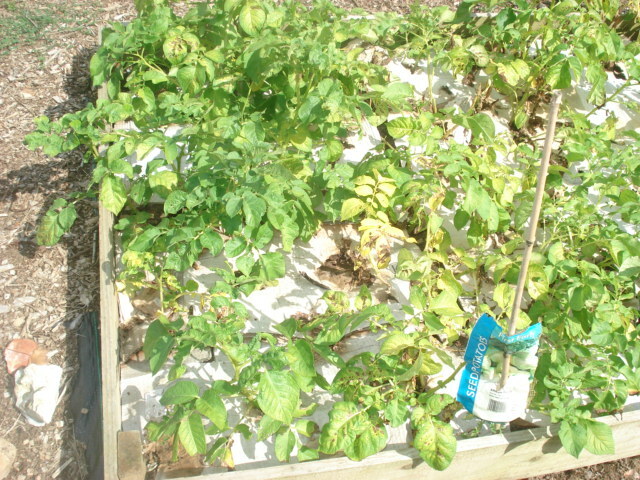 The cardboard certainly stopped the weeds coming up, and meant that we hadn’t had to earth them up. So we lifted the cardboard and this is what we saw. 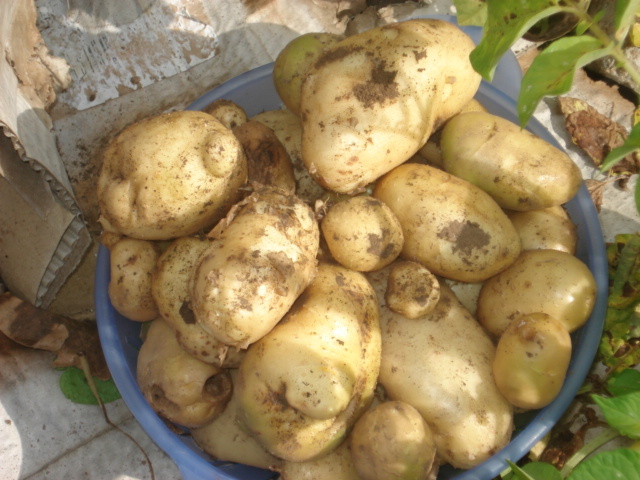 Beautiful potatoes lying in the ground. They came away quite clean and blemish free and we got all this lot just from one row. Last night I cooked some up with a little mint from the garden, delicious. 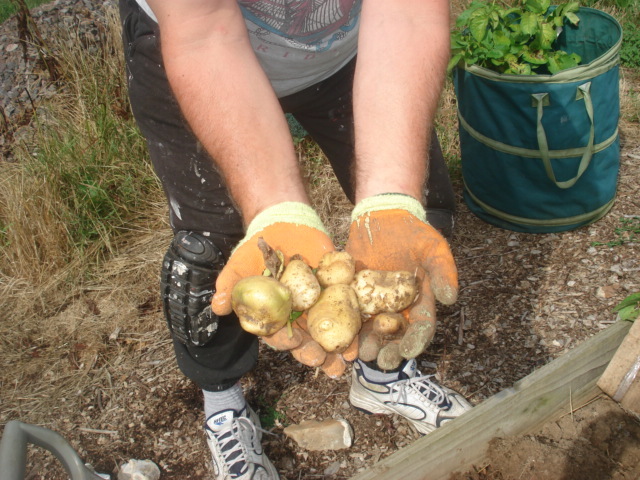 Its amazing how something as simple as a spud can taste so much better when home grown. Then I took them into the kitchen and plunged them into boiling water for 2 minutes to blanche them. 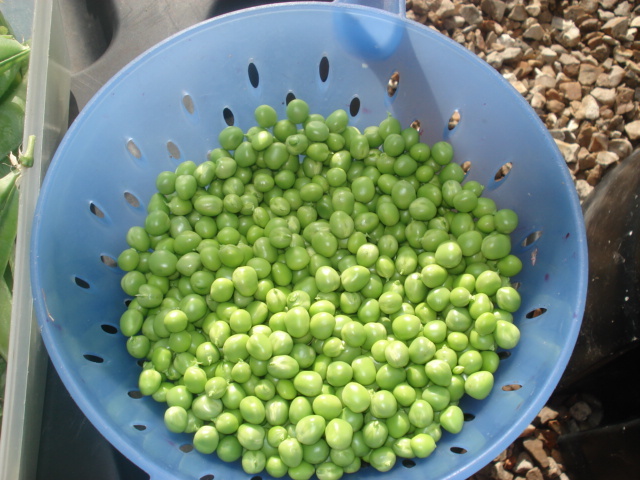 Then quickly into cold water to chill them, and a couple of minutes later bagged them up and froze them. 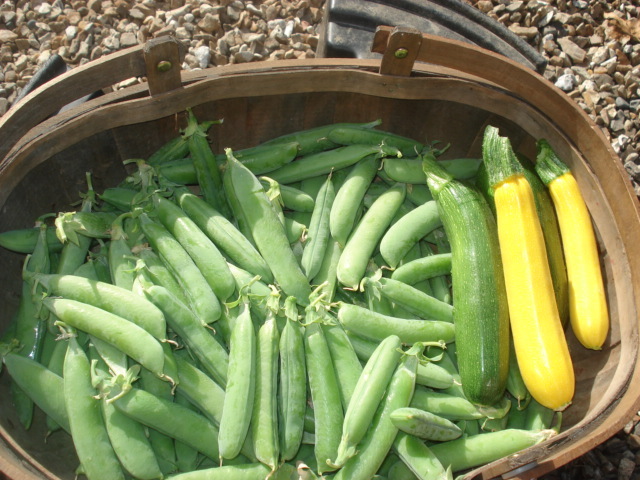 So picking, shelling, blanching, chilling and freezing all in 45 minutes flat. Birdseye reckon to do in in 2 hours so I beat them to it!! And Neil called me “Mrs Birdseye”!! 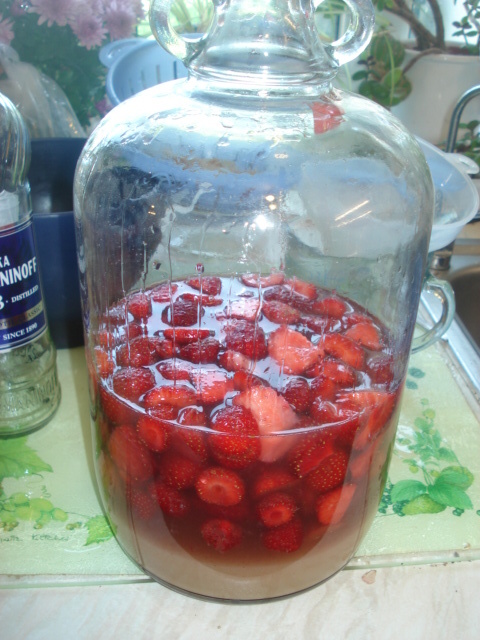 Having an abundance of strawberries I started to research what else I could make from them and came up with Strawberry Liqueur. The first thing we did was purchase a bottle of vodka. 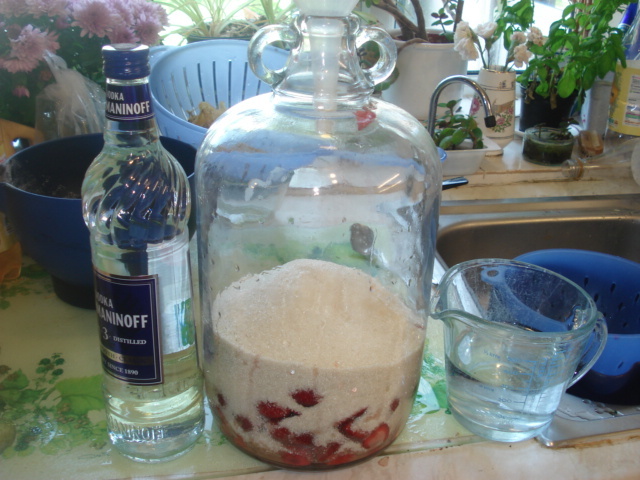 Depending on the size of your bottle you can scale up or down the other ingredients. First hull and cut up the strawberries, then lightly rinse. Next transfer to a large glass jar, I used a demi john. Then shake it all up and seal the jar. 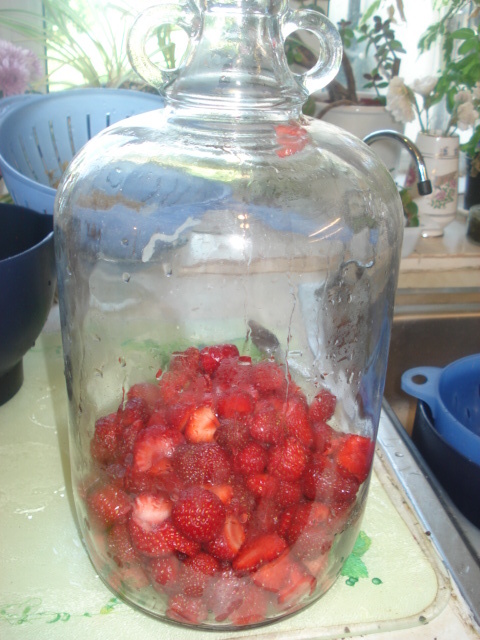 Store out of sunlight in the cool for 1 month, gently shaking the jar once or twice a day. After one month strain the mixture through a fine sieve into a bowl. 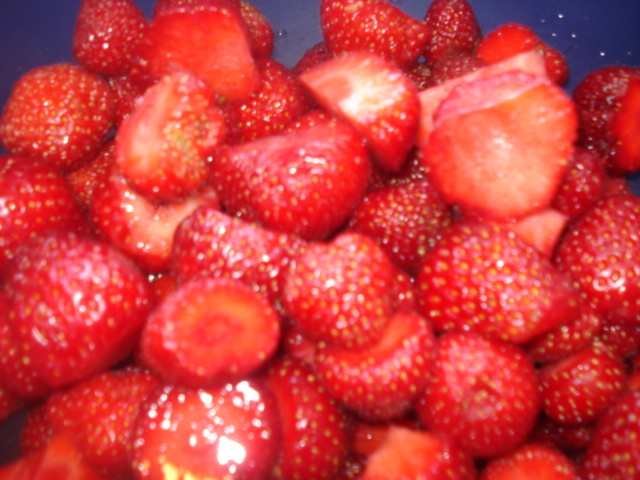 Then strain again to rid the mixture of any remaining strawberry seeds, through a coffee filter. 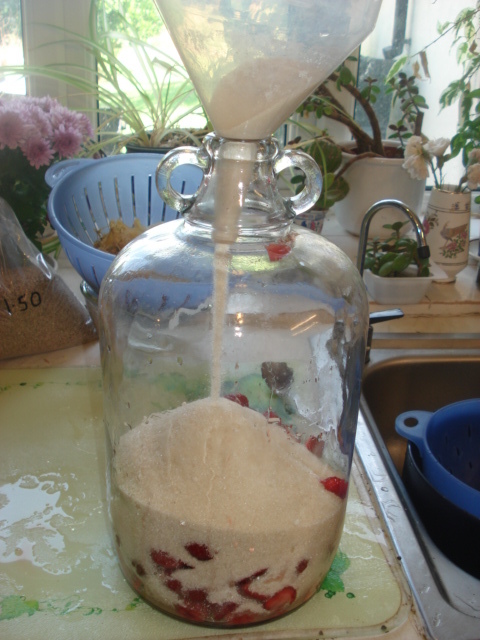 Transfer the liquid to glass bottles. Can be used immediately or improves over time. So now I have a month to wait. 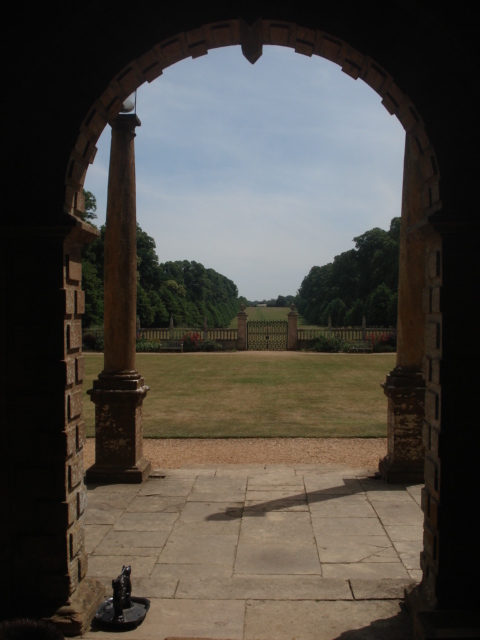 Until then I shall look up what else I can make……….. If you want to sample our strawberries for breakfast, we still have some vacancies in July and August in the B&B. 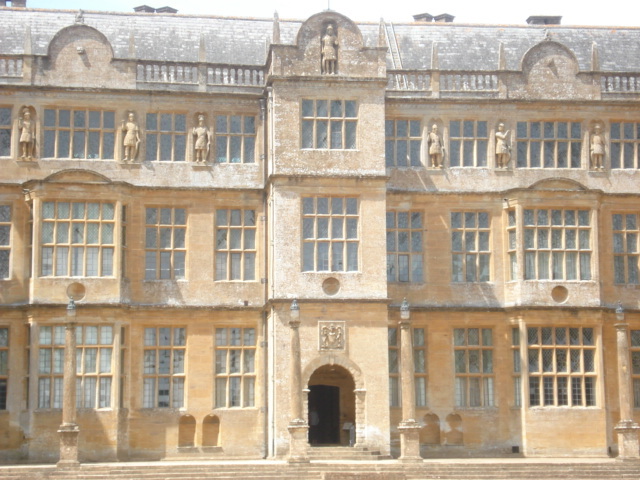 Montacute House is a magnificent, glittering mansion, built in the late 16th century for Sir Edward Phelips. There are many renaissance features, and the Long Gallery, the longest of its kind in England, displays over 60 of the finest Tudor and Elizabethan portraits from the National Portrait Gallery collection. 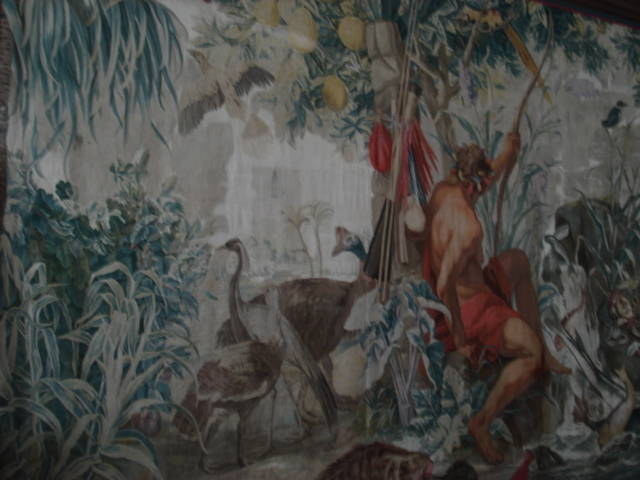 The state rooms display a fine range of period furniture and textiles, including samplers from the Goodhart collection. 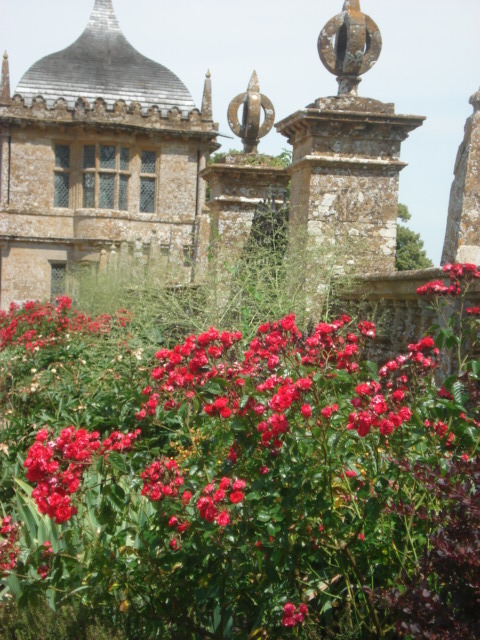 Montacute’s formal gardens are perfect for a stroll and include a collection of roses, mixed borders and famous wobbly hedges. Waymarked walks lead around the wider estate, which encompasses St Michael’s Hill. 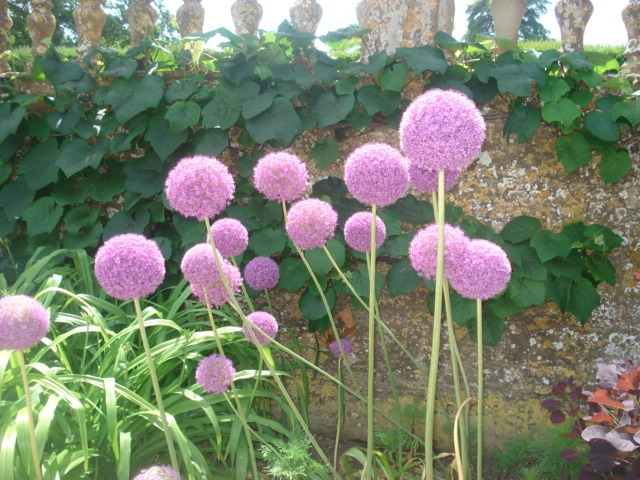 The gardens were lovely, there is a walled garden with beautiful flower borders that lead to the pudding houses. 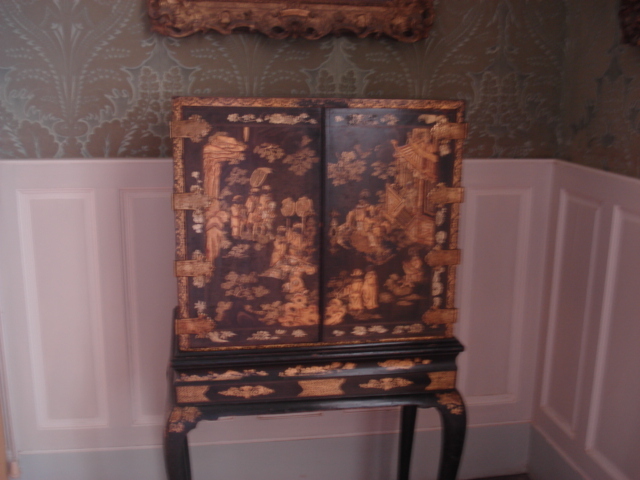 In Elizabethan times after the main meal, the dessert would be taken in a separate building called a pudding house. 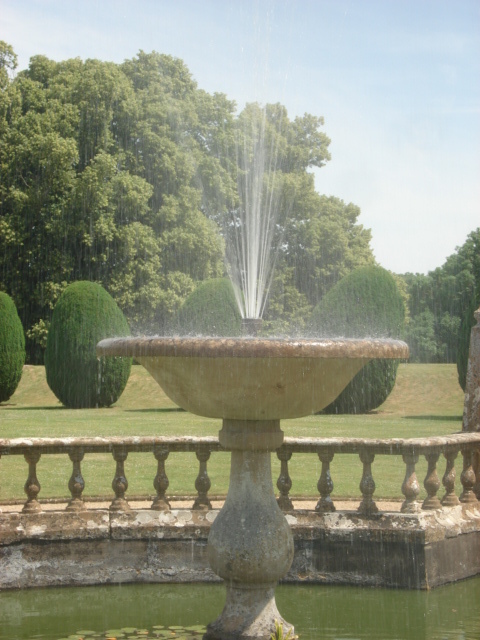 Another formal garden housed a lovely pond and water fountain. If you stood to one side you could be gentled drizzled by it’s water, great for a hot day!! We had our lunch there and a bit later on a little icecream and sat in the shade under a tree to eat it, lovely!! 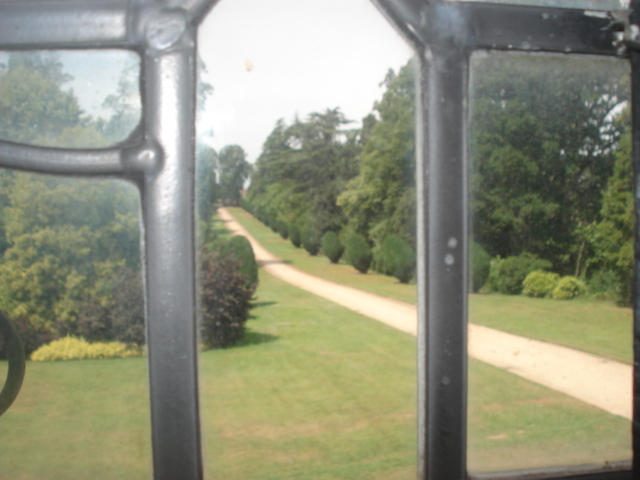 Here is a side view of the house taken from the garden with the water fountain in. 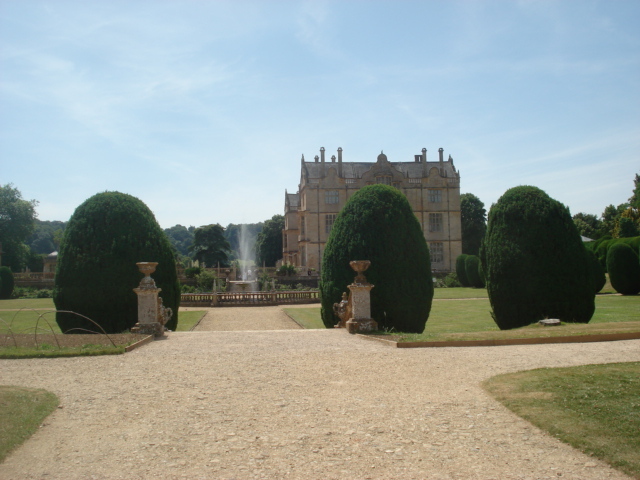 Montecute House is well worth a visit if you are ever down this way in Somerset. 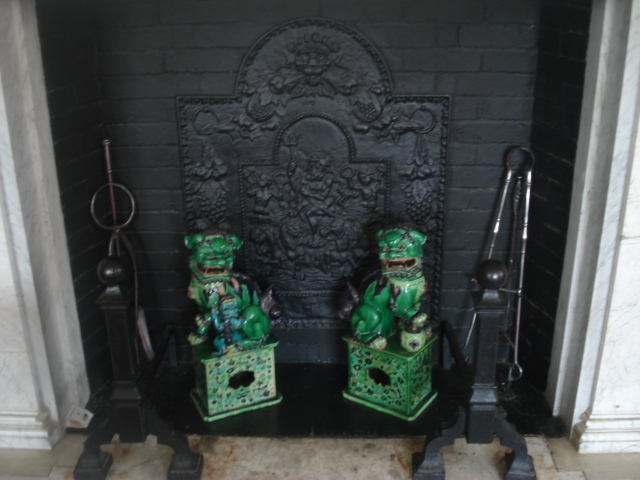 Stay with us and you can easily visit from our house. 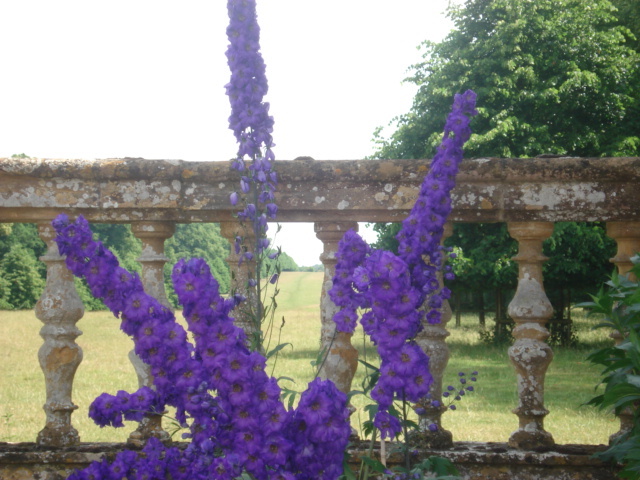 We still have some vacancies in July and August in the bed and breakfast. Now that our broody hen Mrs Speckledy has died the 5 little chicks have been left to their own devices. We were hoping they would be warm enough when they go to bed at night now that they don’t have Mrs Speckledy’s wings to snuggle under. 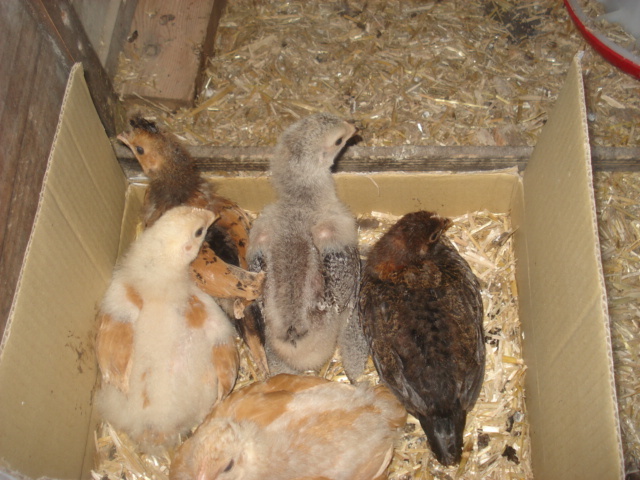 So we found a small box and lined it with straw and put it in the nest box. And sure enough all 5 little cheepsters snuggle down together at night to keep warm. It is so cute to see them like little sardines in a tin. Luckily also we are experiencing a heatwave in the UK, so it is quite warm at night, which has helped them to survive as we don’t have a heat lamp for them. They are growing quickly and their little wings are developing. The little grey chick has furry feet and the multi coloured one already has a top knot!! It will be fun trying to work out what breeds they are when they are more fully developed. If you want to see our chicks, now is the time to visit. 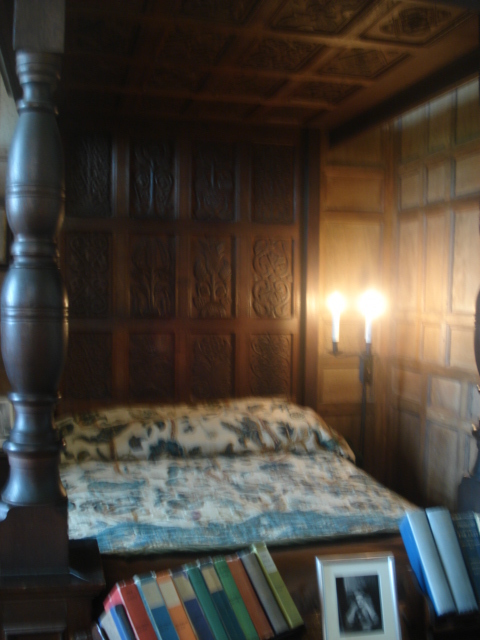 We still have some vacancies in July in the bed and breakfast. 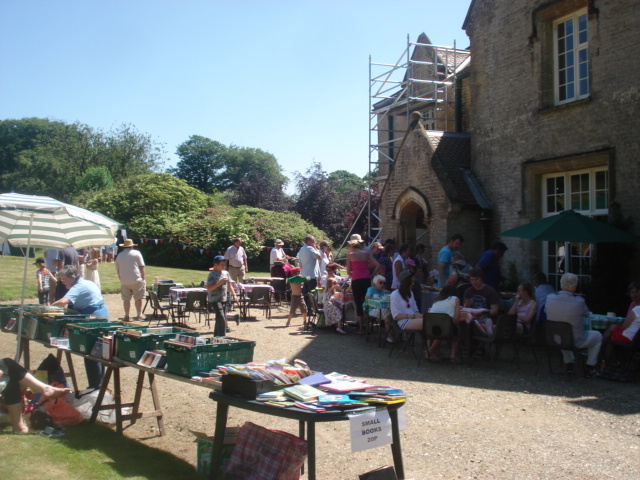 Saturday was the Buckland St Mary church fete. 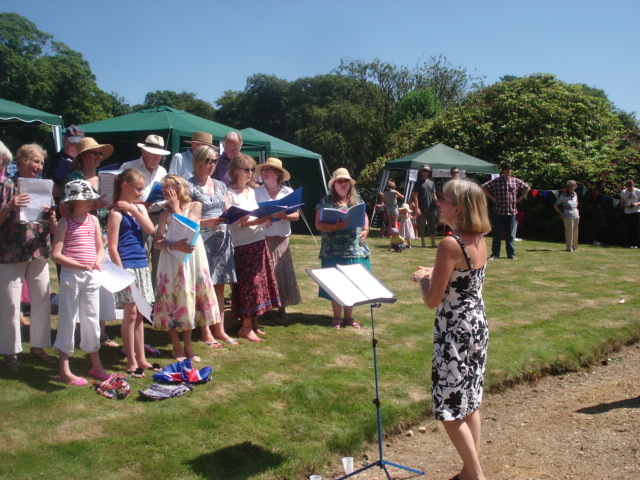 It was glorious sunshine and the fete was held in the ground of Buckland House in the open so we were really lucky with the weather. Last year it poured with rain all day and we held the fete in the church. 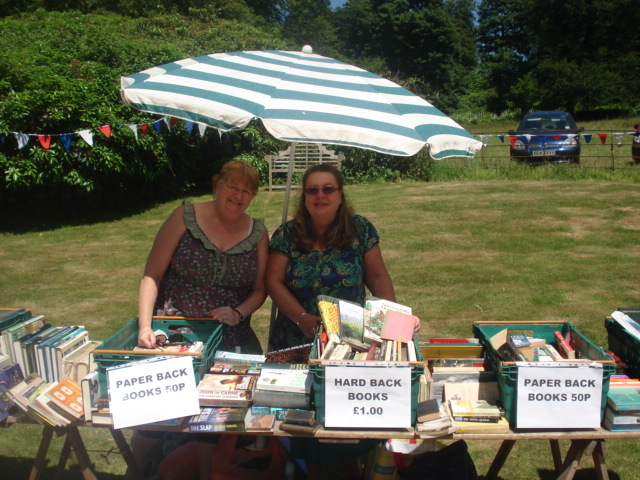 I was on the book stall again, with Neil’s sister Carole who had come down for the weekend. It was a bit slow selling books, maybe because many people have a kindle these days, but we raised £47.50. 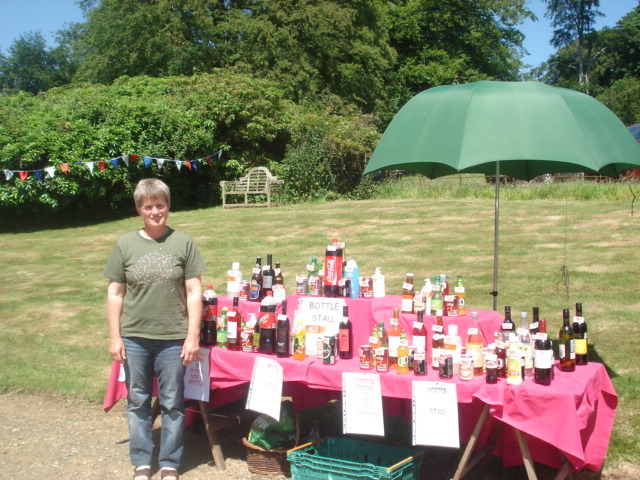 My friend Sandra was on the bottle tombola which is always popular. Our next door neighbour was one of the ladies on tea and cake which again always sell well. There was a cake stall, a jam stall, children’s tombola, bric-a-brac, jewellery, crafts, plants, cards and skittles. I won a plant in the raffle and Carole won a hamper. At 3 pm our Buckland Community choir did a few numbers. All in all we raised £1700 which is not bad for 2 hours in the afternoon. 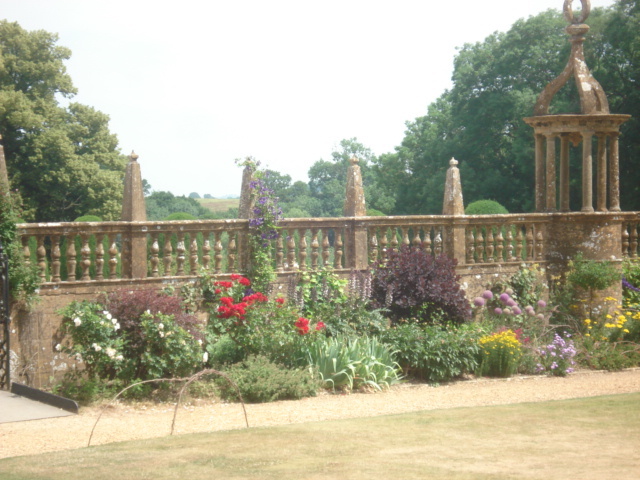 We still have some vacancies in July in the bed and breakfast. Our lovely broody hen Mrs Speckledy has died. She sat on the eggs for 21 days, hatched 5 cute little chicks, was a brilliant hen mother to them, teaching them to scratch and perch and go up and down the ramp to the hen house. Then a couple of days ago I noticed that she was very lethargic and didn’t respond when I threw bread, and the hens normally go wild for bread. I also noticed her comb had gone very pale. She had plenty of food and water but didn’t seemed to be bothered to eat, and then yesterday we picked her up to have a look at her and she didn’t struggle at all. We put her back down in the hen house floor whereupon she went into death throws, croaked a bit and died in front of us!! I am quite sad to have lost Mrs Speckledy as she was the only one of our hens to go broody and she hatched 3 chicks last year and was a fantastic mum to them and then 5 this year. The current little cheepsters are only 2 and half weeks old and as we don’t have a heat lamp for them I was worried about whether they would be warm enough at night. We gave them extra straw in the nest box. Luckily we are having a heat wave at the moment, and this morning they hurried down the ramp and started scratching about, so they were perfectly alright without their mother hen. If you want to come and see our little chicks come and visit us now.